This semester, my final one at NYU, I am only taking two classes, one about business and the environment and the other about the business of fashion. I am also taking two internships for credit. One internship is marketing at AFAR Media, an incredible travel magazine and online publication. The other is marketing for a shoe company startup called VEERAH that produces sustainably-made vegan leather heels perfect for the working girl. 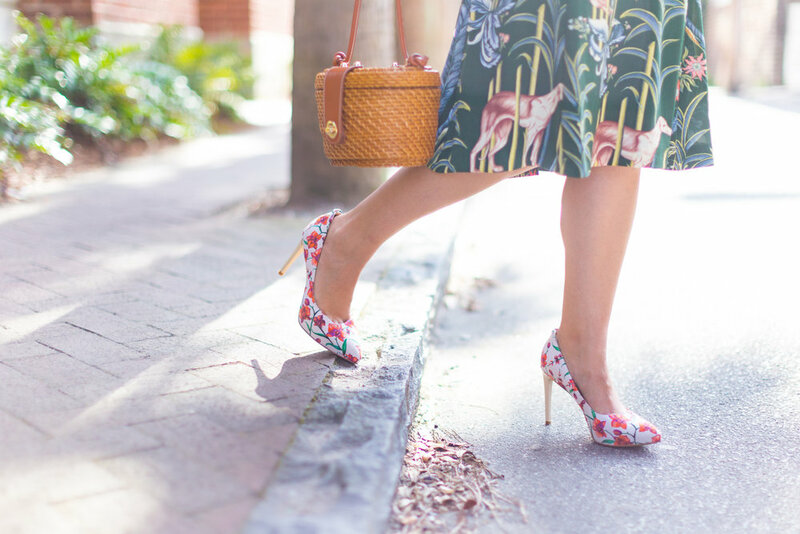 Not only are the heels sustainable and ethical, they are also so cute and comfortable and come with a variety of fun accessories. I was connected with Stacey Chang last semester and as she told me more about her company I knew we would get along well. She was working at Coach and knew she wanted to start her own brand at some point. She traveled a lot for work and going back and forth to her home in Taiwan and in her travels, she realized the frustration of having to pack multiple pairs of heels. She wanted to create something more versatile so she began researching and designing and came up with the various accessories you will see on the site today. She is also passionate about the environment and wanted to make her product as sustainable as it could be. It took two years of hard work flying around to factories and sampling types of vegan leathers and researching every part of the shoe before she launched her line. Let me tell you, it was worth the effort. Beautiful: The design of the shoes is stylish and classic. 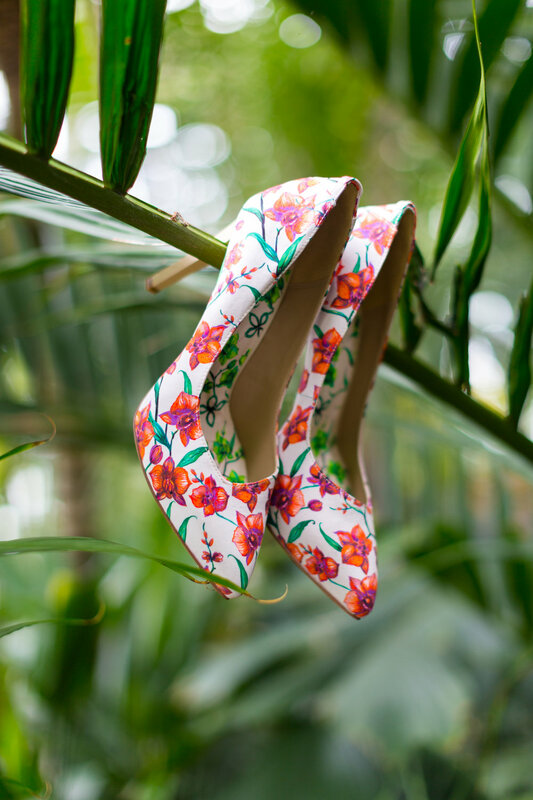 They are beautifully designed with every little detail accounted for, from the stitched V on the back of each shoe to the signature orchid print lining, the highest quality of the leather and the comfort padding in the lining, from the richness of the colors to the types of accessories offered. Be prepared to be complimented on your shoes. Comfortable: The heels are lined with plant-based memory foam, plant-based antimicrobial cushions, and an anti-friction pillow on the back of the heel, so that you can wear them all the time without worrying about the pain that most heels cause. They come in different size heels, as well, so if you aren't into the towering stiletto you can also choose a more subtle kitten heel. Versatile: To explain a bit more about the accessories -- there are various options that clip easily and seamless onto the shoes, including an ankle strap and a tassel, to name a few. This way when you purchase one pair of the heels you can also get matching accessories to turn a single pair of heels into several. Feeling a bit boho? Add a fringe ankle strap. Want to add some glam? 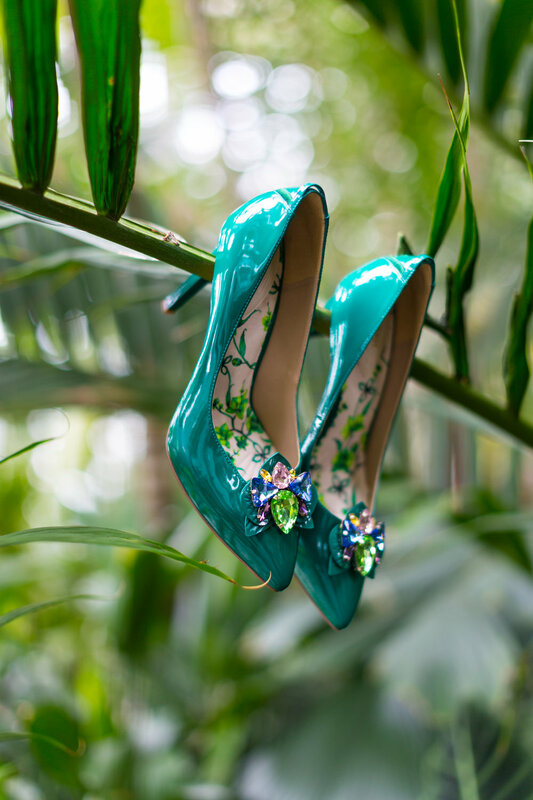 Clip on a jeweled brooch to the front of the shoe. There are a ton of versatile options. Sustainable: Each pair of VEERAH heels is made using the best quality sustainable materials so that you can shop responsibly without sacrificing design. The fashion industry contributes 10% of carbon emissions each year, not to mention the pollution and waste that arises and the countless ethical problems. Don't be a part of the problem, be a part of the future by shopping more conscientiously. Charitable: At least 1% of proceeds are directly contributed to social impact causes and VEERAH gives back in many ways, especially to causes that empower women all over the world.